My screen resolution is set to 1280x1024. Currently it's only a black screen that says "Need to set screen resolution to 1280 x 1024@60Hz@", but I can't do that because I cannot access settings in Windows to change the resolution. What have you done to try to access display properties? 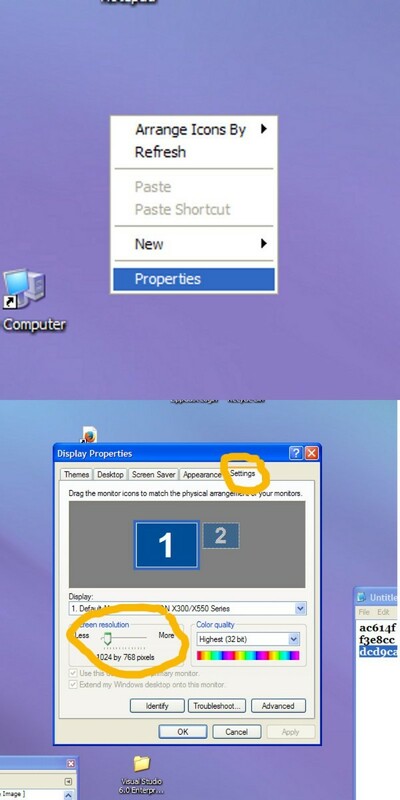 You should be able to right click on an empty area of your desktop and from the context menu, select 'Properties', which would take you to the settings.